I have been feeling a bit overwhelmed by my overflowing scrap bins lately and a strong need to simplify. I was able to use lots of stringy scraps in my scrappy string quilt that I blogged about last week, but alas, that barely made a dent in my stash. and then put the rest in numbered stacks to make new room on my design wall. I then got to work on some more HST’s. 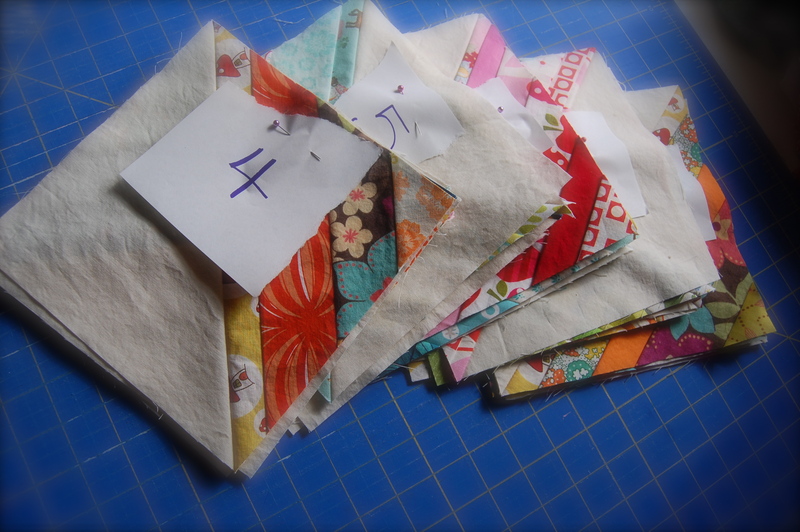 Using my scraps and some Kona Snow/Bone (also scraps), I made some 2.5 inch squares (finished size) to put into a little pillow cover, or if it goes well, maybe a fun little modern, scrappy HST quilt! It’s a great opportunity to work on my HST skills and getting some clean, matching points; something I always seem to have trouble with. I find all that point matching very fussy and time consuming but I love the end result!! I’m linking up with Lee’s WIP Wednesday again. As always, there are loads of fun projects to check out over there. P.S. I also got my plane tickets to Austin for next month!! Whoo, hoo…..Who else is heading to Quilt Con? Love all the scrappiness here. Have a great trip! Gorgeous! Love scrappy quilts, especially with lots of color! 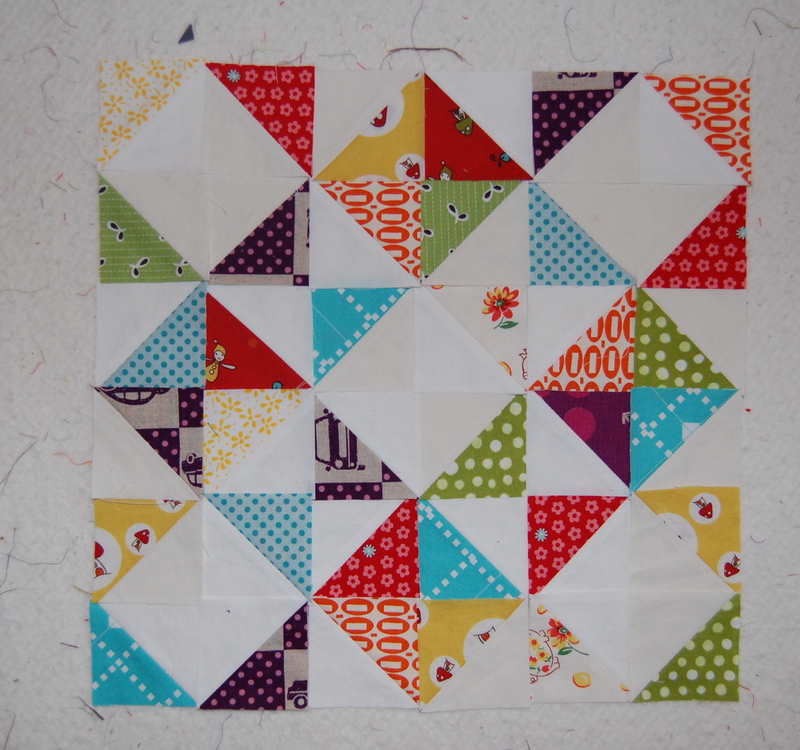 I am loving the scrappy quilts/blocks. I love embracing the little bits and pieces. 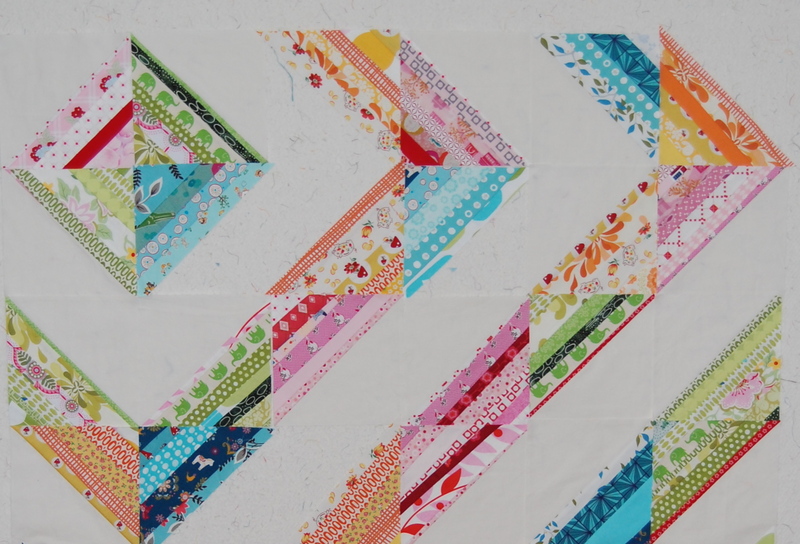 I can’t wait to have that many awesome scraps – your scrappy string quilt is amazing! thanks for sharing! Lovin your scraps! Pretty stuff going on here. 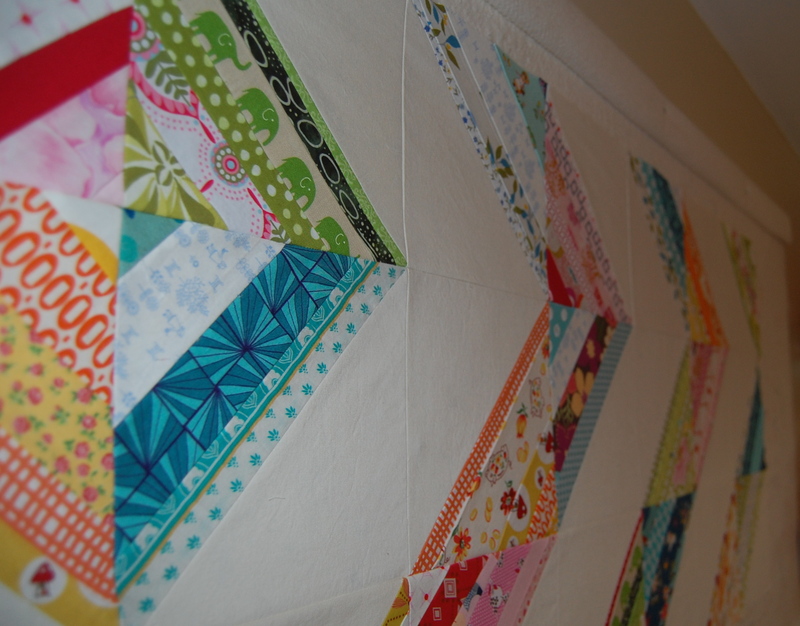 You have such beautiful scraps…..makes a very beautiful quilt! Gorgeous! So bright and happy! Gasp! It is STUNNING. Gosh, I wish I knew how to quilt. It seems like it takes such patience, a special brand of it that I just don’t have. But oh, how gorgeous the results are, as you have proven so beautifully here. What a beautiful blog name! And great quilt as well!